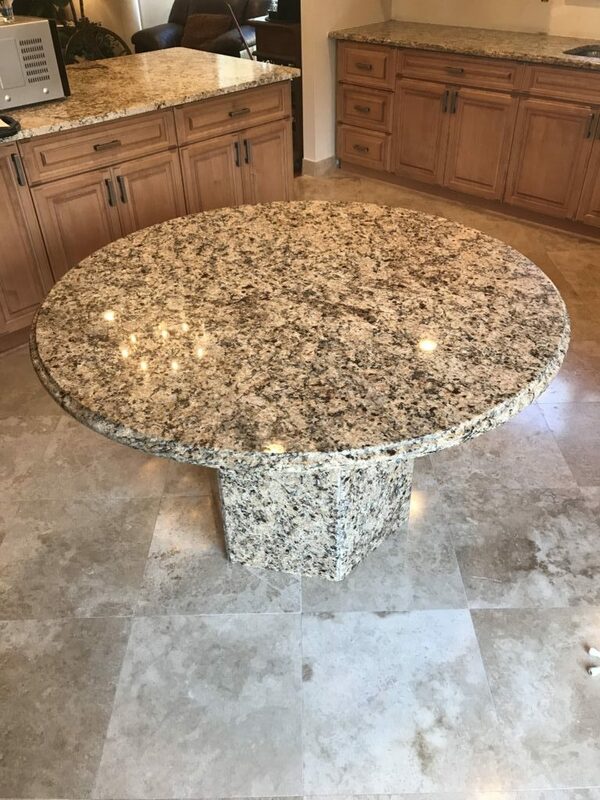 Creama Brazil, Round granite table with hexagon shaped granite bass . Amazing finish quality and amazing polished edge by our experts. The quality is as always the quality of life time . Proud we had made another customer in West Bloomfield happy as usual.